Elizabeth Shaw: Prometheus, are you seeing this? It must be difficult to approach a film like this from the perspective of a filmmaker who has done previous, similar work that is now considered a classic. 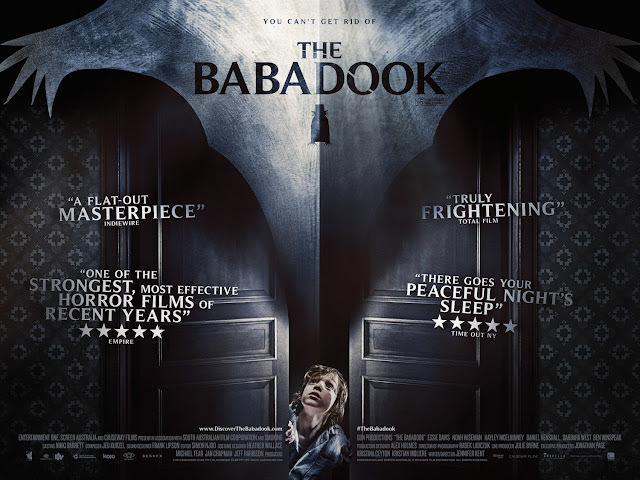 It must also be difficult for someone to go in and see a film like this, knowing what one knows about said classic, the filmmaker, and the pedigree of people involved in its making. Prometheus is a film that began as a prequel to Alien, only to evolve into something different, yet still shares the same universe. It marks the return of director Ridley Scott to the realm of science fiction, but it certainly does not seem like he has run out of ideas. On the contrary, the biggest problem that he and his screenwriters have is the fact that Prometheus, while a visually gorgeous spectacle, is too full of ideas and too ambitious for its own good. 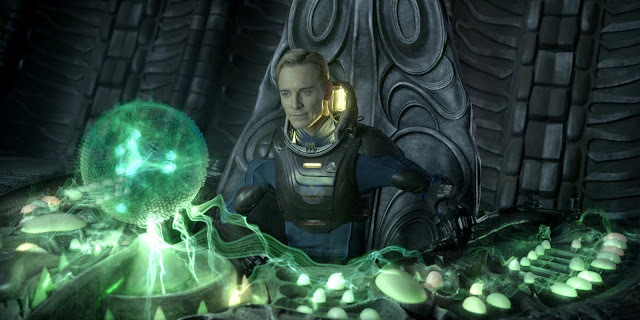 There is enough material for multiple films, yet Prometheus instead relies heavily on merging all of its big ideas into one film that has an epic scope, but suffers from narrative issues. Still, there is more intrigue and ideas worth discussing in this film than many other mainstream films I will see this year, let alone the thrilling nature of what I got to see visually in this film that makes it easily worth the time spent watching it. 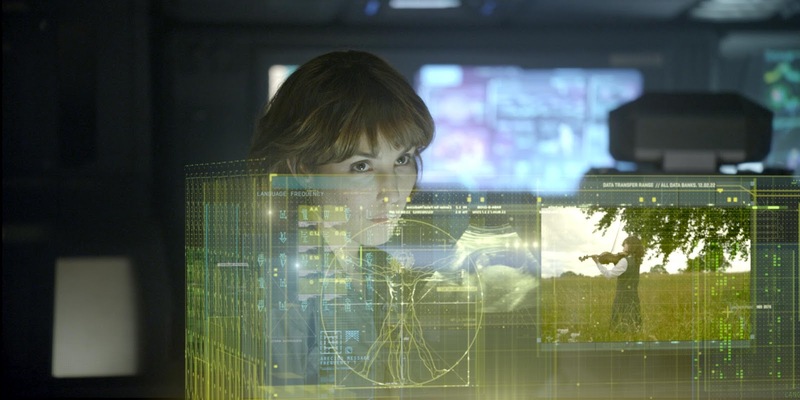 Set in the late 21st century, Prometheus begins with a team of scientists discovering further proof of what appears to be a map of sorts that will lead to a distant world. Four years and a trillion dollars later, the spaceship Prometheus is just about to arrive on the planet deciphered in the map and the crew awakens from stasis. 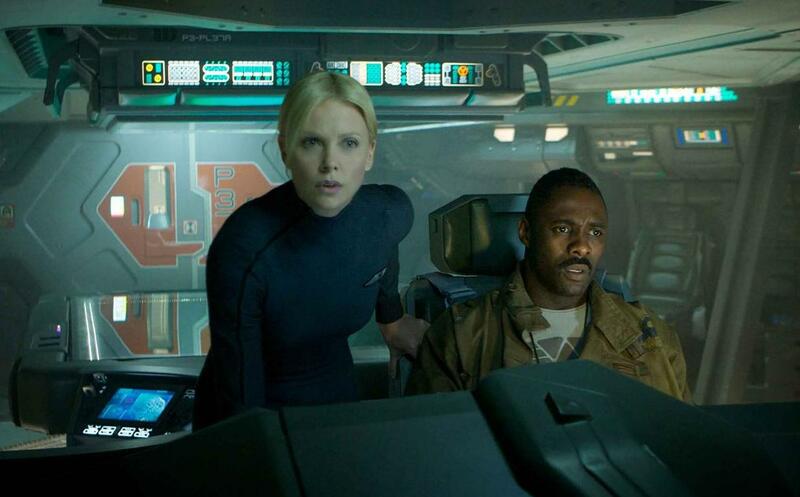 Members of the crew include Elizabeth Shaw (Noomi Rapace), the faith-driven archaeologist; Charlie Halloway (Logan Marshall-Green), Shaw’s partner and fellow archaeologist of a more thrill-seeking nature; Janek (Idris Elba), captain of Prometheus, with realistic sensibilities and a wry sense of humor; Meredith Vickers (Charlize Theron), the cold and pragmatic corporate employee, sent to monitor the expedition; and David (Michael Fassbender), the ship’s maintenance man who had no need to go into stasis, as he is an android. 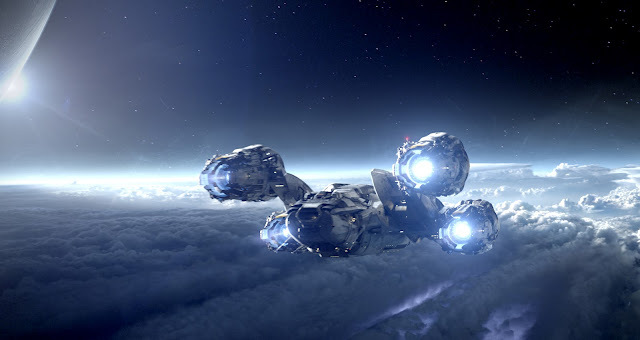 The main objective for the crew aboard Prometheus is to land on the planet and explore with intent to find traces of an advanced civilization that could have possibly aided in creating humanity. Upon arrival, the crew quickly finds a location to scout, which leads to proof that other advanced life forms have had a presence on this planet, if not more. Unfortunately, with further probing, more issues become apparent, which includes the discovery of a threat that could cause the extinction of the human race. The easiest area of this film to address and criticize is the narrative structure of the film and choices made by the characters. These are not areas of the film that shine the brightest. As far as the narrative is concerned, the main issue I have is that it feels fairly conventional. I believe this comes as a mix of the marketing actually spoiling more than one would think, given its seemingly cryptic nature and the fact that Alien, fittingly, paved the way for so many similar features, that the story of Prometheus practically feels like Ridley Scott bordering on rebooting his own film. Take away the big ideas, visual wonder, and solid craftsmanship of the film, which I will get to, and you essentially have a fairly standard sci-fi/horror film. It does not help that many of the characters, who are supposed to be scientists that I assume are renowned enough in their field to have a giant corporation allow them to be a part of their trillion dollar project, make some of the dumbest decisions possible. I can understand the idea of “running before you walk” at times, but here we have something more like “jump before thinking about taking a parachute”. It is a lot of lop-sided thinking that hinders what is an otherwise incredibly smart film, as far as huge budget blockbusters are concerned. Screenwriters Jon Spaihts and Damon Lindelof clearly had plenty of material they wanted to try and cram into this film, which seemed to have caused them to neglect more fine tuning on the core story. With that in mind, the numerous ideas, concepts, and themes that they do manage to bring on top of the main narrative provides Prometheus with a ton of material to comprehend and little time to really do it. There are questions that focus on the nature of humanity, what it is to believe in the divine, and how would it be to stand next to your creator. These are huge ideas and the film falters because of asking so much and purposefully not fully reaching conclusions on all of these points. 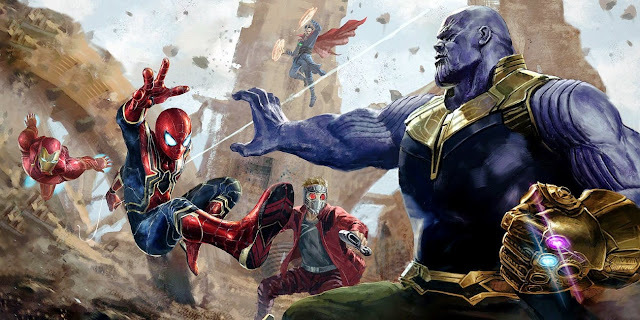 But then again, how often does one get to see a summer blockbuster that goes into such subject matter, while also providing a tense sci-fi experience to engage in? A lot of the joy that I will keep from this movie will revolve around getting to discuss it over the next few months. I love that after my initial viewing I was able to have a long conversation about the nature of one aspect of this film, without touching on other areas that will presumably come up in future conversations. Getting to see and experience the film is one thing, but the fact that I can tell it will at least last with me for the next couple months is also rewarding. Prometheus has come to theaters with a lot of hype behind it and it is kind of in the worst possible way. 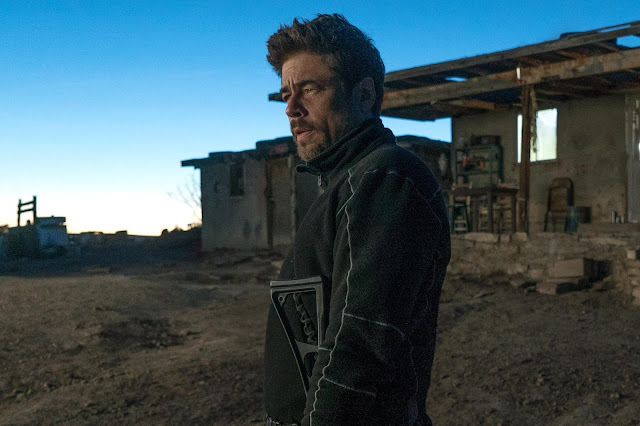 Having another Ridley Scott-directed science fiction film seems to have set up a lofty expectation that cannot realistically be met for everyone, let alone be seen as some sort of instant classic. I do not want to punish myself for wishing this film was better. 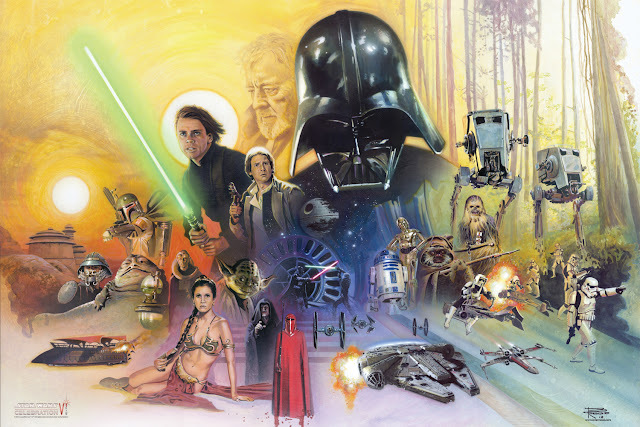 I certainly understand the flaws, some of which I have already pointed out, but a film with this many concepts, let alone the eye-popping visuals, deserves admiration or at least enough to let me engage in my fun conversations that dissect what was brought up in this film. Turning this towards the filmmaking aspect, Prometheus is a fantastically realized film from a visual standpoint. 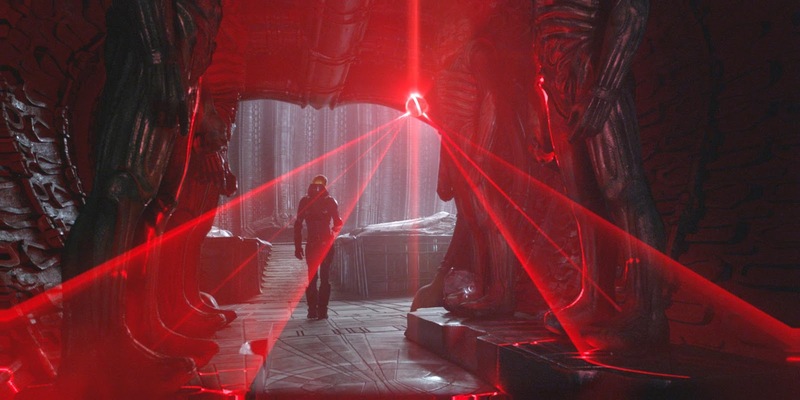 Scott being one who has already established his capabilities as a craftsman, the world he and his crew have created in Prometheus is awesome to behold, given the use of sweeping shots that convey the scope of the film, which is at many times in direct opposition to the claustrophobic nature of Alien, despite having similar levels and nature of tension. Through the use of huge sets, lots of practical effects work, and some fantastic CG creations, this is Scott and his crew working with assured confidence that Prometheus will stand as one of best constructed sci-fi universes of the past decade. All of the details are especially wonderful, given how we are supposed to view the technology in this world, yet are never given too much direct explanation for how everything on the spaceship(s) functions. We are given plenty to see and decipher on our own and that, along with some awe-inspiring “money shots” are quite marvelous. Too add on the obligatory 3D note, Ridley Scott chose to use 3D cameras in the making of this film and it works well enough. It is not the rare case where 3D really applies to the film, but Prometheus remains clear and well shot throughout, with enough emphasis to provide depth but not distract from the film. As far as the actors are concerned, the lineup is pretty fantastic and they all mostly deliver really well. Noomi Rapace deserves a lot of credit for having to put up with tremendous amounts of stress to deal with, both physically and mentally, in regards to her character. Given her prior work in the original Girl with the Dragon Tattoo films, it comes as little surprise that she deals with the intensity her character is supposed to go through, but I was still quite pleased with her performance nonetheless. Sticking with the female side of things, Charlize Theron is also quite good in the “ice queen”-type role. By that, I mean that her cold and distant behavior, which suggests more nefarious schemes at work, is personified in the right sort of way and never overplayed (with the exception of one moment that I can only fault the filmmakers for). Moving onto the males, before getting to who impressed me, the weak link was Marshall-Green’s character who, for whatever reason, never felt as natural as the others did, which is a shame, given how much I enjoyed everyone else. On a brighter note, Idris Elba did plenty to have me enjoy his role. He has a charismatic screen presence that makes him a joy to watch and the fact that he was the only main character that did not make any stupid decisions was certainly a plus. Michael Fassbender continues to shine as well. Echoing the presence of other actors who have previously played androids as well, Fassbender’s David is a fascinating character in the way it wishes to service the ship and those around him, but at the same time develops an ego of sorts, as he clearly understands what he is meant for, but also how much he is truly capable of. The last thing I would like to delve into is the logic in making this film. It is fitting for the film to state that there is a lot of mixed DNA involved. 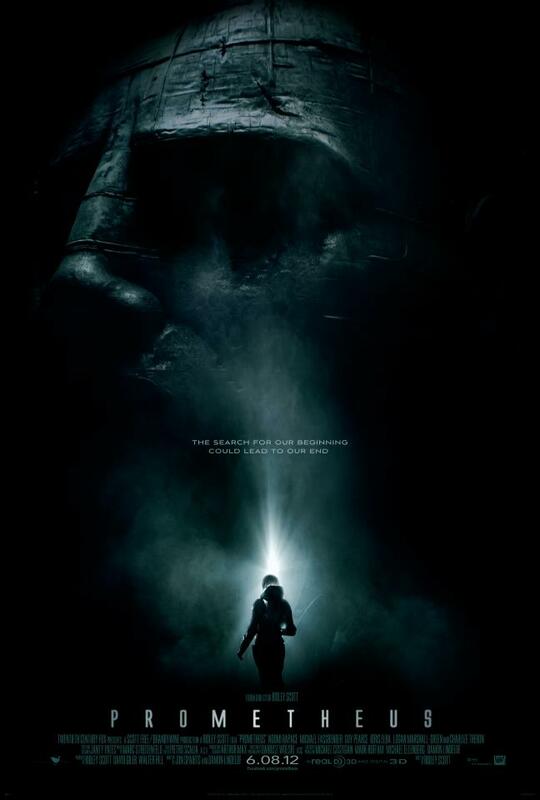 Despite the effort done by Scott, Lindeloff and others to assure audiences that it is not really a prequel to Alien, Prometheus sure does feel that way. It honestly should not matter, but it does make me question that aspect. 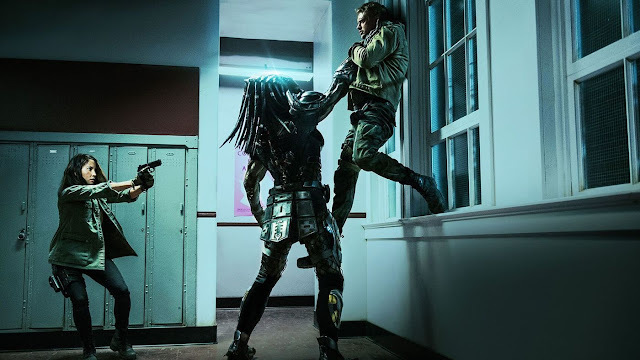 With that consideration, being a part of the Alien universe both shatters some of the intrigue in that classic feature, while also allowing plenty of fun speculation as to how to now approach that film’s setup. Moreover, it is almost aggravating to be told this is not a prequel, despite seeing so many obvious nods to the franchise. Regardless, it should not matter, as there is still a lot of originality in all of the motifs, designs, and sets that we do get to see, let alone further innovation in the approach to both human and alien technology. I found innovation to be a key principle in Prometheus, which is why I probably admire it more than I like it. Seeing a film like this, which has a lot to say and only manages to deliver so much is unfortunate, but very commendable in regards to its ambitions. There is some moderate disappointment, yes, but only due to the film not living up to impossible expectations. I will not try to speculate how this film will hold up in the future, but it does feel weird to try and write about a film while assessing its future status as a possible cult classic in the back of your mind. As it stands now, Prometheus is better than a majority of the blockbusters one is most likely to see this year, simply because it tries. It tries and fails in some respects, but it has great ideas and allows the viewer to speculate about a lot of them. Additionally, Prometheus also delivers on having amazing visuals, a great sense of wonder at times, and some gripping and intense suspense at others. It is challenging and messy, but also a great spectacle that wants to show how big things can have small beginnings.